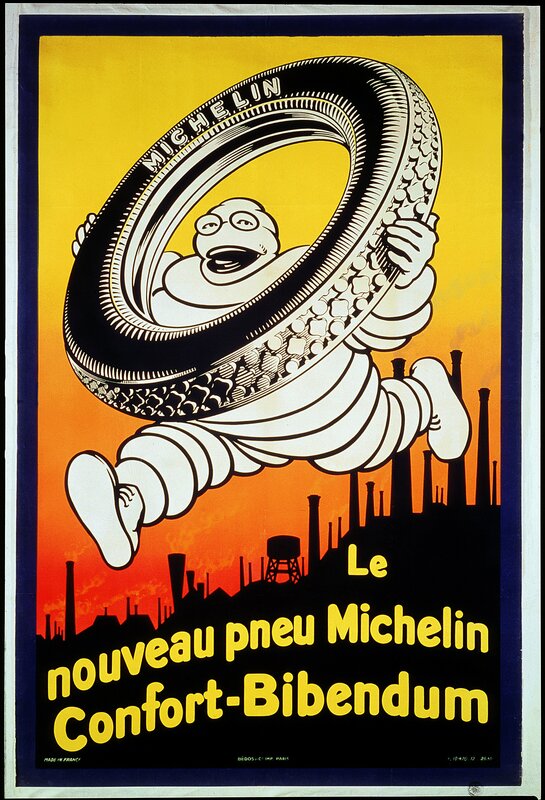 I think the first time I saw an early Michelin brand icon was from a picture of an early 1911 advertisement promo where he was on top of a horse-drawn carriage. There were two of them and I couldn’t help but think that if I brought my three years old out to watch the video shoot he probably would have run for the hills with me running a close second. If you are like us then you like looking at old gas and oil, and automotive advertisements, after all, they have amazing history and nostalgia that gives us an appreciation of where we came from versus where we are now. 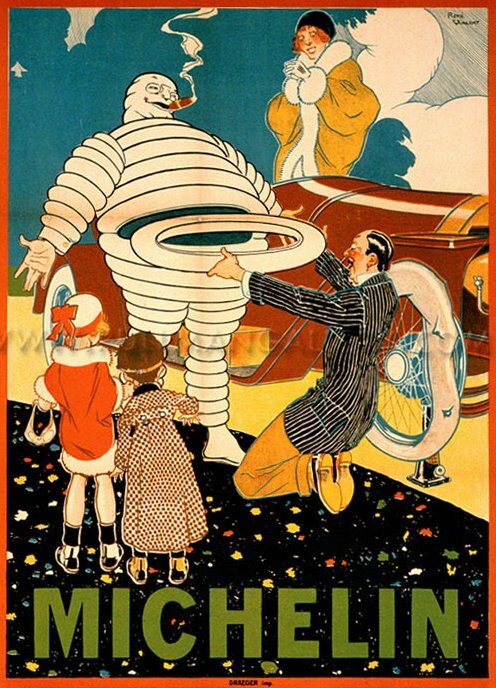 The Michelin man is no different, while this is no history lesson we have to say that technology did the big tire guy good because the 1911 version is perfect for any American horror story. 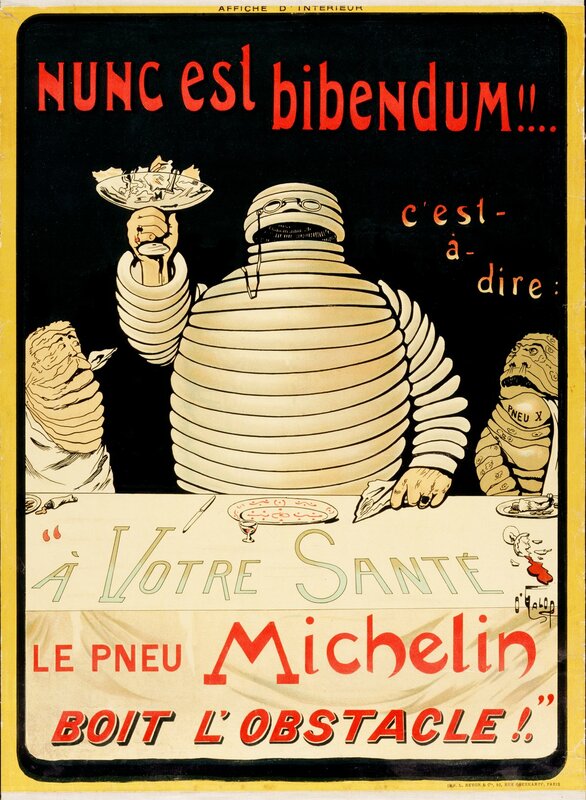 To make matters worse the old character from 115 years ago was a cigar smoking, beer drinker called Bibendum who was developed by Edouard and Andre Michelin and inspired by a stack of tires. Even though The Michelin tire drinks, he really only drinks “obstacles”, nails and other delightful metals. Now if that isn’t horrific I do not know what is. In the below picture Bibendum is seen giving a family a spare tire after experiencing a flat. How appropriate to have dad on his knees removing portions of the tire guys tummy. The ad worked, and I get it! These days the Michelin man is quite the athlete, he looks stronger and fit, the image has certainly evolved from the 1900’s. In 1926 we see things start to change, Bibendum can be seen running and looking a little less scary. Fast forward to today, Michelin is much more kid friendly and family appropriate. He services the world while still keeping some of the attributes of yesteryear. 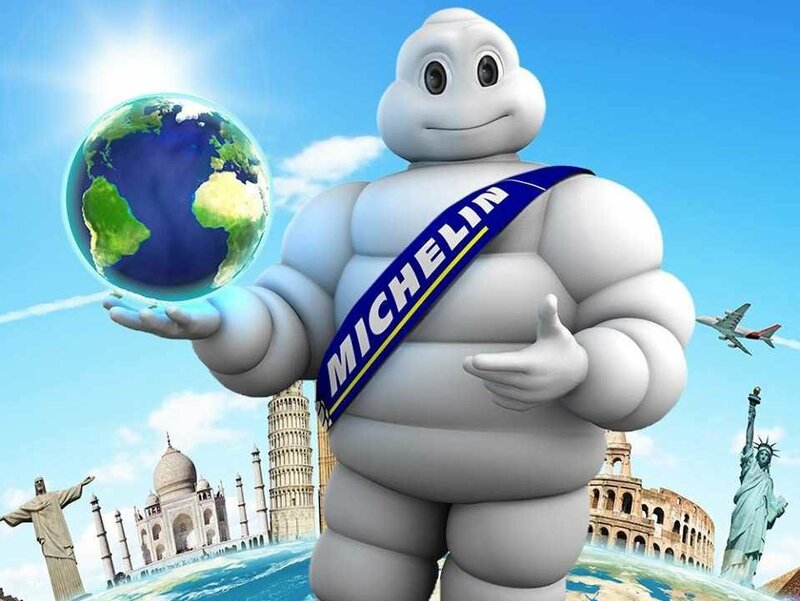 The Michelin Man continues to be one of the most recognizable brands today and we cannot deny how interesting his development has been. I asked my three year old what he thought about the Michelin man and he said, “that guy is a monster” then ran off to watch Bobgoblin on Wallykazam – oh the irony!